Remoras, or suckerfish, attach to sharks and other large marine animals and feed on parasites attached to their host’s body and on scraps from their host’s meals. The digital Remora envisioned by tech firm ImagineXYZ would attach to fishing boats and “eat” data collected by the boats in order to help fisheries managers better track how fuel subsidies are being used. 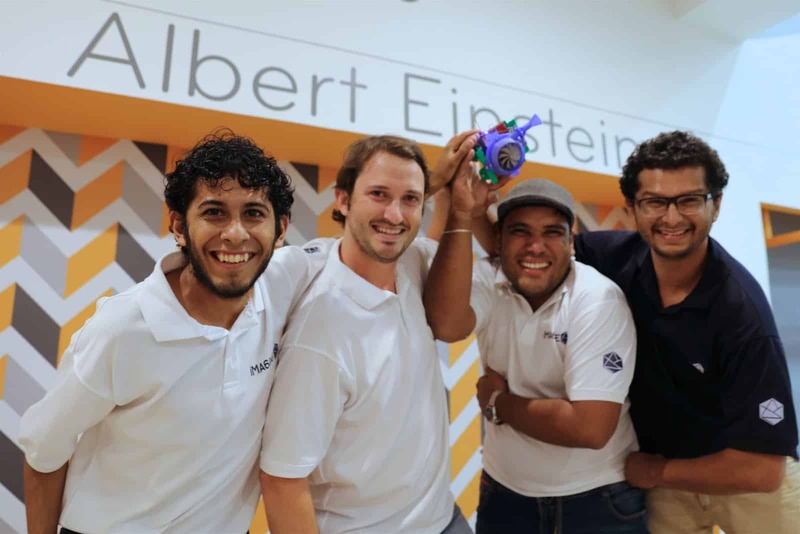 The analogy might not be perfect, but then again, Juan Carlos Martí only slept one hour during the two days in which he and his team came up with the name and, more importantly, the idea, which won last weekend’s Fishackathon in Costa Rica. The third annual Fishackathon is an initiative of the U.S. Department of State, in which scientists and techies from around the world try to come up with creative solutions to problems related to overfishing. Government entities and conservation groups, including Costa Rica-based MarViva, presented fisheries-related challenges to the hundreds of hackers who participated in more than 40 events around the globe. The group from ImagineXYZ, which was founded by graduates from the Costa Rica Institute of Technology, or TEC, chose to focus on fuel subsidies for fishermen and the lack of oversight in the use of those subsidies. The self-powered Remora would be attached to the hull of the boat, and would collect data about the boat’s movements and behavior based on its geolocation. Fuel subsidies for fishing boats have come under scrutiny in recent years, with critics arguing that they prop up an otherwise unprofitable industry that is depleting ocean resources at an unsustainable rate. According to a 2011 publication from the World Wildlife Fund, 60 percent of subsidies for the global fishing industry, $16 billion at the time, support unsustainable practices. The World Bank said in a 2009 report that fisheries around the globe would be $50 billion more profitable annually if they were managed better. More recently, a research initiative called the Global Ocean Commission, co-chaired by former Costa Rican President José María Figueres, has called for the World Trade Organization to put a cap on fuel subsidies for boats that fish on the high seas, and eventually to eliminate those subsidies. Here, the Costa Rican Fisheries Institute, INCOPESCA, provides fuel subsidies to local fishermen. While most recipients use it for legitimate fishing, some of the subsidized fuel has been used for drug trafficking, shark-finning and fishing illegally in the protected waters of Cocos Island National Park. Some recipients simply sell the fuel to others. Boat-tracking devices already exist, but they’re expensive — around $2,000, Martí said — and they’re mostly used on very large vessels. He estimates that the basic Remora model would cost $150. At that price, Martí said, a government could theoretically require all boats — from pangas to massive longliners — to have a Remora, thereby providing a holistic way of monitoring fishing practices and the use of subsidies. Martí thinks a government like Costa Rica could pay for such a program with the money it would save from reducing subsidies that aren’t being used correctly. As an incentive to the fishermen themselves, Martí said, the device could also include an emergency button that they could use to signal for help. After winning the Costa Rica Fishackathon, the ImagineXYZ team will compete for the global prize, which consists of $10,000 and high-level help to turn their idea into reality. For Martí and his team, the next step is to look for funding to build a better prototype of the Remora and do a pilot project. Martí admits he knew next to nothing about the fishing industry before the Fishackathon. His team’s research on the issue started just a week before the actual event. “And now, I’m ordering ceviche and wondering what kind of fish it is,” he said. Building an app that would help consumers identify whether the fish labeled in the market as “red snapper” is actually red snapper was another problem tackled by hackers at the event. “I fell in love with the contest because I think it’s a huge problem and it needs technology,” Martí said. You can check out, like and comment on submissions for Fishackathon 2016 from around the world here.